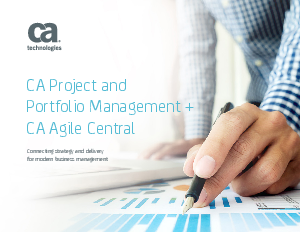 We implemented CA PPM + CA Agile Central within our own organization, to prove out its efficacy as a combined solution, and the results exceeded even our expectations. CA PPM was used extensively in our Global Information Systems (GIS) division, which supports our 12,000 employees across the globe. In order to improve its competitiveness in today’s digital marketplace, GIS wanted to standardize its delivery approach, so they implemented CA Agile Central as well.